abide by all of the Isagenix Policies and Procedures, as currently in effect and as may be amended by Isagenix from time to time. attempt in any way, directly or indirectly, to violate or circumvent the Isagenix Policies and Procedures and other Agreements and policies that apply to me. 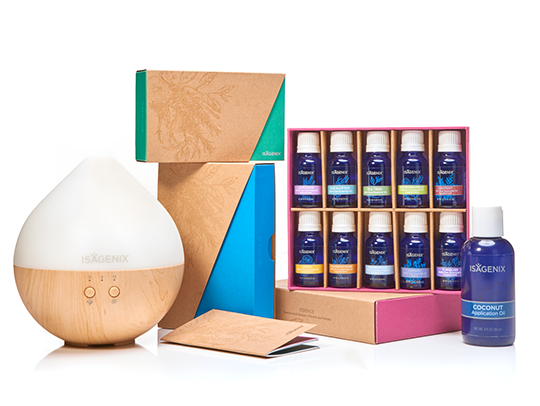 As used in these Policies and Procedures, the terms “you”, “your”, and “Associate” refer to Isagenix Independent Associates, individually or collectively, depending on the context. Isagenix Customers may apply to become an Associate at any time in order to participate in the Compensation Plan. These persons remain eligible to purchase Isagenix products at the prices dictated by the Customer Membership Type elected upon enrolling as a Customer. In addition, the person may retain his/her current Position so long as he/she makes the election within 24 months after becoming a Customer. If a Customer elects to become an Associate after 24 months, he/she may enroll at the bottom of his/her current leg with his/her current Enrolling Sponsor. Upon becoming an Associate, the person will then be eligible to receive compensation under the Compensation Plan. 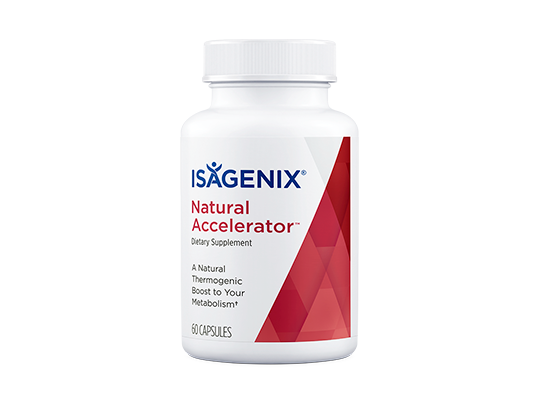 Associates who choose not to create a Customer Membership Account will pay a $39.00 Membership application fee that is charged annually and may purchase Isagenix products directly from Isagenix at the same prices as Preferred Customers. 2.2 Accurate Information. You may not enroll or help anyone else enroll with false, inaccurate, fabricated, misleading, or incomplete information. It is your responsibility to inform Isagenix of any changes to your contact or other personal information. Isagenix will not be responsible for delays and possible loss or forfeiture of Compensation that would otherwise be payable to individuals who have provided false, inaccurate, fabricated, misleading, or incomplete information. Isagenix reserves the right to void or delay any enrollment, including voiding pending orders and payments, pending validation of account information. Isagenix may terminate any Position that is being operated by any person other than the person(s) named on the IAAA or related Isagenix account. 2.3 No More than One Position. 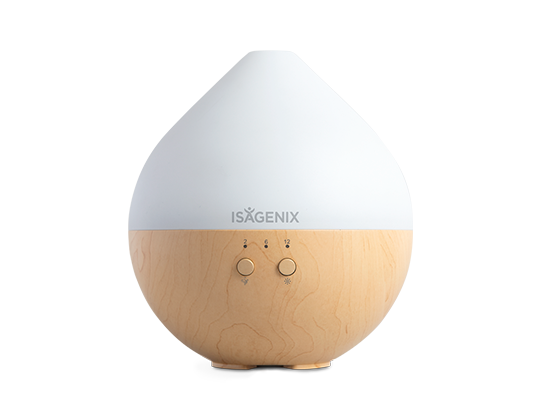 You may not have a financial interest or any other interest in more than one Position, including participation in the building of or ordering products through such Position, even when that Position is held by a separate business entity or another person, except in limited circumstances (such as Re-Entry Positions) as officially designated and approved in writing by Isagenix. If you are found working or assisting to work a Position in someone else’s name, such Positions may be terminated and the waiting periods in Section 3.5 will apply from the Position’s most recent activity. 2.4 Spouses. Spouses may hold separate Positions, provided that they are in the same Line of Sponsorship and one spouse directly sponsors the other (except in cases where each spouse owned a Position prior to being married). Each spouse agrees that the actions of one spouse may be attributed to the other spouse and may result in corrective action against both spouses. 2.6 Other Special Programs. From time to time, Isagenix may implement other special programs where Associates who meet the necessary qualifications can apply to operate additional Positions. Isagenix may refuse approval and/or amend or discontinue these programs at any time at its sole discretion. 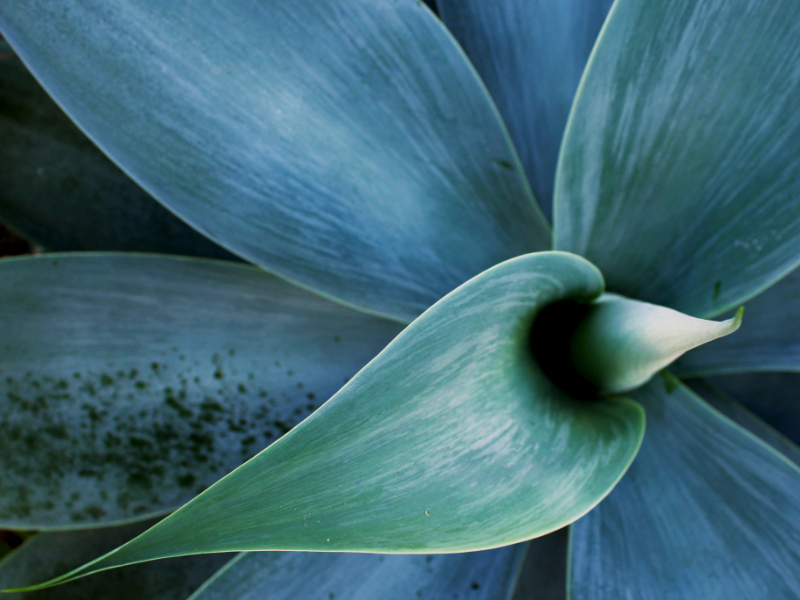 a trust that is established in accordance with Isagenix requirements. You may make such requests by providing a written request to Isagenix. 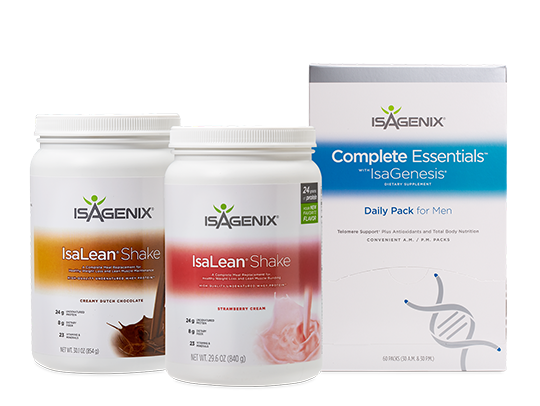 The request must include: (1) a valid employer identification number ("EIN"); (2) your own valid government-issued tax identification number; and (3) any information requested by Isagenix to verify the existence, ownership, and good standing of the business or trust and your authority to bind the entity to the satisfaction of Isagenix. Even if you successfully add an entity to your account, ultimate ownership of and responsibility for the account will remain with you. Isagenix may refuse any request or application or terminate any trust or entity account at its sole discretion. Note: Your personal identification is used for internal tracking purposes, but once an EIN is provided, reporting for tax purposes will be directed to that EIN. You may not use this provision to circumvent any condition of eligibility, including without limitation Section 2.3 prohibiting more than one Position per person and the reenrollment provisions of Section 3.5. 2.8 Independent Contractor. Isagenix Independent Associates, in whatever form, are independent contractors. You acknowledge and agree that you are not an agent, employee, legal representative or franchisee of Isagenix, your Sponsor(s), or any other Independent Associate. You further understand and agree that you will not be treated as an employee for federal or state tax purposes, and will not be treated as an employee for purposes of the Federal Unemployment Act, Insurance Contributions Act or Social Security Act, or any state unemployment laws, state employment security laws, or any state workers compensation laws. You understand and agree that you are responsible for and will pay all federal and state taxes, including income taxes, self-employment taxes, sales taxes, local taxes, and/or local license fees that apply to your activities and compensation received under the Associate Contract. 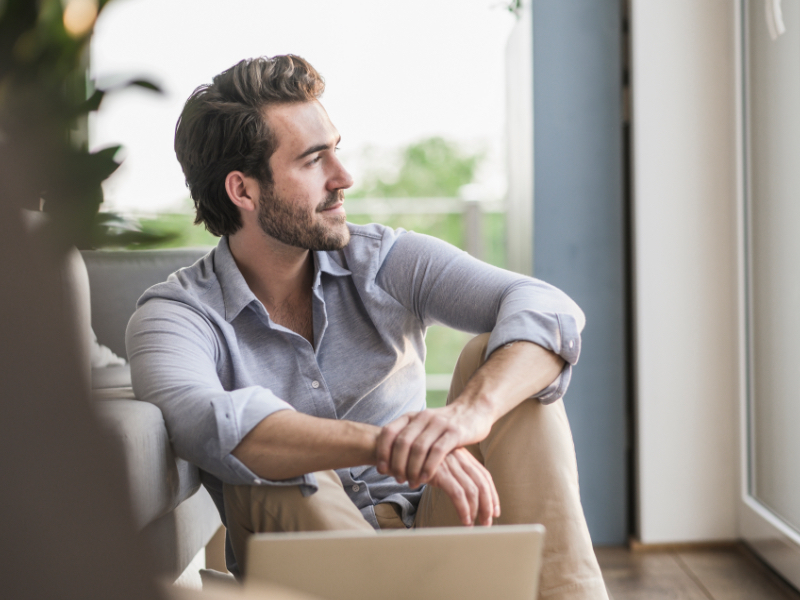 As a self-employed independent contractor, you will be operating your own independent business, buying and selling products and services available through and by Isagenix on your own accord. You have complete freedom in determining the number of hours you will devote to your business, and you have the sole discretion of scheduling such hours. Isagenix will not provide you with a place of business, and if you desire a place of business other than your own residence, you will be responsible for procuring, furnishing, equipping, and paying for such place of business. As a self-employed independent contractor, you are also responsible for complying with any applicable federal, state, provincial, or local business licensing requirements. 2.10 Becoming an International Sponsor. If you wish to enroll Members outside your Home Region and earn compensation based on the sale of Isagenix products in those Regions, you must become an Associate with International Sponsorship by submitting a fully completed and executed International Sponsorship Application and Agreement (“ISAA”) and paying the applicable application fee, which must be paid upon submission and each year after. If you choose to become an Associate with International Sponsorship, you must abide by the ISAA, the Policies and Procedures, the IAAA, the Compensation Plan, and the local laws and regulations applicable to each country in which you operate. 3.2 Change of Sponsorship or Placement. To protect the integrity of the Compensation Plan and to discourage unethical cross-recruiting practices, Isagenix does not allow sponsorship or placement changes, except in very limited, unique and unusual circumstances. Any request to change sponsorship or placement must be made in writing and sent directly to Isagenix via email to Placements@isagenixcorp.com. The request initially will be reviewed by Sales and if it is found to warrant further action, will be sent to the Field Relations Board (“FRB”) for consideration. The request may be denied at Isagenix’s sole discretion. 3.3 Modifying or Selling Your Position. You may not modify or sell any Position without the prior express written approval of Isagenix that is dated and signed by an authorized officer of Isagenix. Isagenix may, at its sole discretion, approve or disapprove any modification you propose to make to your Position. Before Isagenix will consider any changes you must submit a written statement outlining the proposed modification and the reasons for the modification. You may request to sell your Position if: (a) you have actively operated your Position as an Active Paid-As Executive for the six consecutive months immediately preceding your request; (b) you submit a written notice to Isagenix specifying the proposed terms and conditions of any proposed sale to a bona fide purchaser at least 30 days before you intend to consummate the sale; (c) you are not under any Compliance investigation or restriction; and (d) you provide all information, documentation and signatures as may be requested by Isagenix. Isagenix may approve or disapprove of any proposed sale, at its sole discretion, or may opt to purchase the Position from you on substantially the same terms and conditions specified in the notice. Note: This Section also applies to any attempt to transfer an interest in an entity that holds a Position. Positions held by Customers may not be sold or assigned. 3.4 Voluntary Cancellation of Your Associate Contract. You may cancel your Associate Contract, including your Position, (a) at any time by signing and submitting a written request to Isagenix, (b) by failing or choosing not to pay your annual renewal fee when it is due, or (c) by failing or choosing not to engage in any Business Building Activity for six consecutive months or longer. Once your Associate Contract/Position has been cancelled, you may not reenroll or have a financial interest in another Position except in accordance with the reenrollment policy as provided in Section 3.5. If you desire to voluntarily cancel your Associate Contract/Position and intend to reenroll, you must sign and submit a “Voluntary Request to Relinquish Position With Intent to Re-Enroll” form (sometimes referred to as the “Reenrollment Request Form”). Written requests for cancellation are considered effective when a valid request is received by Isagenix. Cancellation notices may be mailed to: Isagenix International, LLC, Attn: Account Requests, 155 E Rivulon Blvd, Gilbert, AZ 85297; sent via facsimile to: (480) 636-5386; or scanned and emailed to: AccountRequests@IsagenixCorp.com. Isagenix may, at its sole discretion, elect not to renew your Associate Contract. Isagenix will notify you of its intent not to renew on or before the anniversary of your enrollment. 3.5 Reenrolling After Cancellation; Eligibility. To protect the integrity of each Isagenix Position by discouraging individuals from attempting to switch Marketing Organizations, no person who currently holds or has held an interest in a terminated or cancelled Position may reenroll until expiration of the period specified in this Section, except as provided below. 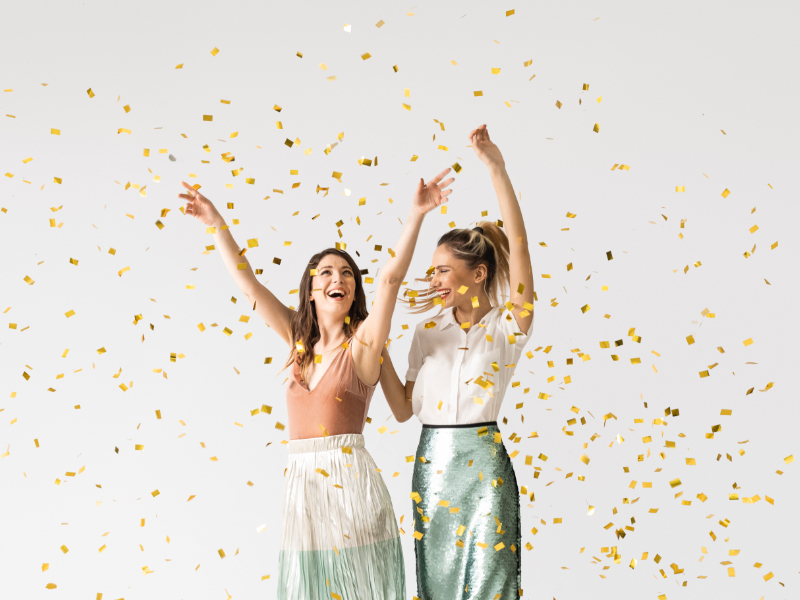 Customers may reapply six months from the date of their most recent activity (such as placing a product order or providing a new Customer referral). 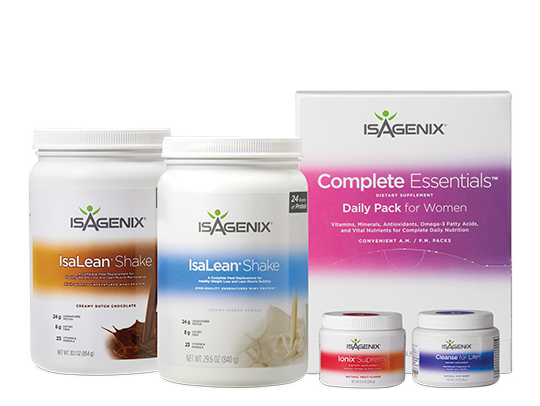 Associates who have never earned a commission or who have earned less than $500 total from Isagenix over the twelve month period immediately preceding the reapplication date may reapply six months after the date of their most recent activity (such as placing a product order, enrolling a new Member, or receiving a Compensation payment). 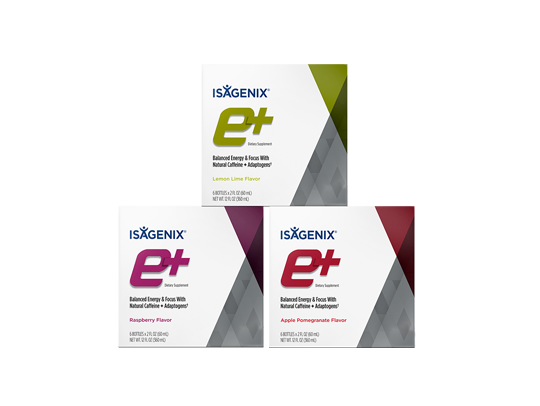 Associates who have earned Compensation totaling more than $500 with Isagenix over the twelve month period immediately preceding the reapplication date may reapply twelve months from the date of their most recent activity (such as placing a product order, enrolling a new Member, or receiving a Compensation payment). If you wish to continue ordering Isagenix products at discounted prices during your waiting period, without resetting your waiting period each time you order, you must sign and submit a Reenrollment Request Form. By submitting this form, you irrevocably waive and forfeit all rights relating to your current Position(s) (including all Compensation and Ranks). You must explain your reasons for making the request and where you intend to enroll after the waiting period expires. For purposes of this exception, your applicable waiting period will start on the date Isagenix receives your completed Reenrollment Request Form, even if your Position has already been inactive for any amount of time. Your intent to cancel and reenroll will be communicated to your current Enrolling Sponsor and volume from your purchases will continue to be credited to your current Enrolling Sponsor until the date your reenrollment takes effect. Despite this Section 3.5, as an Associate, you may not encourage anyone who is already enrolled in Isagenix, whether as a Customer or Associate, to cancel his or her Position or move to another Marketing Organization, even if you tell him or her to do so in accordance with this policy, and even if you had previously enrolled that person. Isagenix generally will investigate patterns of reenrollments and reenrollment requests suggestive of violations of this policy. Isagenix may, at its sole discretion, refuse any reenrollment request for any reason, even if the applicant has complied with the specified waiting periods and taken all other steps necessary for reenrollment. Note: Although Isagenix permits spouses to hold separate Positions, they must remain in the same Line of Sponsorship. Therefore, before either spouse can reenroll, both spouses must satisfy the conditions and waiting periods applicable to their respective Positions. 3.6 Divorce. Isagenix will honor a valid divorce decree or settlement agreement with respect to ownership of Positions, provided that the divorce decree, settlement agreement, or other resolution (collectively “Resolution”) does not conflict with the Policies, the Compensation Plan, Guidance Documents, or the Terms and Conditions of the IAAA. Additionally, the rights pertaining to a single Position cannot be divided so as to provide some rights in the Position to one individual and other rights to another; and any Resolution that purports to so divide or separate the Position will cause the Position to automatically terminate as of the date of any such Resolution. 3.7 Succession. 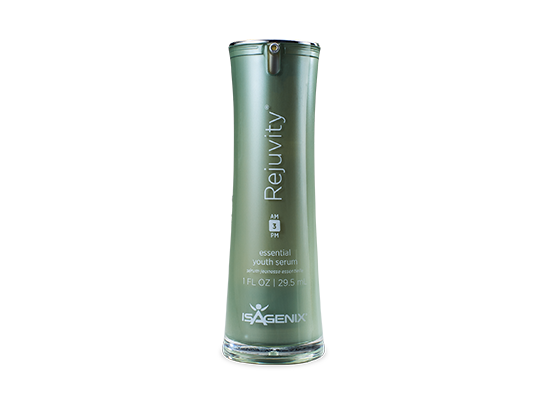 Upon the death or legal incapacitation of an Associate, all rights to the Associate’s Position may be transferred to a successor as provided in the Associate's will, trust or other testamentary document or as otherwise ordered by a court of competent jurisdiction or other testamentary process, subject to approval by Isagenix. Within six months after an Associate's death or incapacitation, the successor(s) must present legitimate verification of death or incapacitation and proof of their right of succession, such as a grant of probate or an enduring power of attorney. The successor must sign and submit a new IAAA and must, in all respects, qualify to enroll as an Associate and be bound by all current and future terms and conditions set forth in the IAAA, the Policies, Guidance Documents, and Compensation Plan. If the successor is already a Member who holds a Position, Isagenix generally will allow the successor to hold both the successor’s original Position and the inherited Position for up to nine months, provided that the successor has appropriately requested to sell or otherwise transfer one of the Positions and such sale or transfer has taken place prior to the expiration of the nine month period. Isagenix may impose additional restrictions and requirements, including maintenance of certain Paid-As Ranks, at its discretion. If Isagenix determines, at its discretion, that there is no appropriate or qualified successor to provide responsible leadership and support to the deceased or incapacitated Associate’s Marketing Organization, Isagenix may, at its sole discretion, purchase the Position at a fair market value determined by Isagenix. If the successor(s) refuses the purchase request, Isagenix may terminate the Position without remuneration or further obligation. Note: The requirement to sell or otherwise transfer one of the Positions after nine months does not apply if the successor is the spouse of the deceased Associate. If the Position is to be inherited by more than one successor, the successors should form a single-purpose business entity or a trust to hold the transferred Position and must follow all Isagenix instructions concerning its relationship with Isagenix, including designating one person as the contact person and person responsible for the Position. This policy may not be used to circumvent Section 2.3. 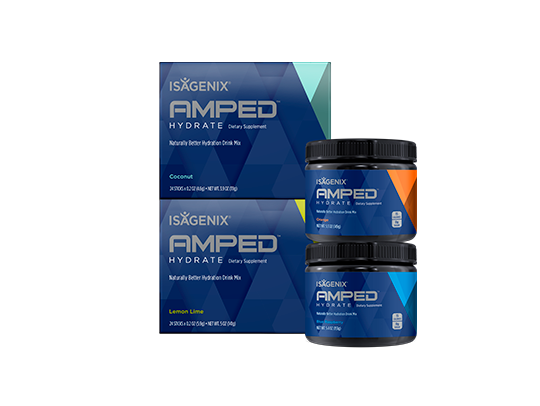 4.1 Purchasing Isagenix Products. No person is required to enroll as an Associate to purchase Isagenix products. Isagenix may adjust the prices of its products or services at any time. Although Associates may be required to achieve certain levels of personal sales (which may include retail sales) to earn compensation, Associates are not required to purchase any Isagenix products or participate in the Autoship program to become or remain an Associate. Please refer to the Compensation Plan for additional details. 4.2 No Inventory Loading. The Isagenix Compensation Plan is based on sales of Isagenix products to End Consumers. Associates may purchase only that amount of product that will be consumed by the Associate (and the Associate’s Immediate Household) or promptly sold to End Consumers. Customers may purchase products only for the Customer’s personal use or the personal use of their Immediate Household, and not for resale. Isagenix prohibits any scheme to purchase products or to enroll new Customers or Associates, either directly or through others, for the primary purpose of qualifying any Position for any commission, bonus, Rank advancement, special promotion, contest, or other incentive. 4.3 Payments and Payment Authorization. All orders must be accompanied by proper payment, including all applicable shipping and handling fees and sales taxes. If payment is not made within a timely manner or is reversed or cancelled, you authorize Isagenix to withhold the amount owed from any future Compensation payments. 4.4 Autoship Program. As a convenience, Members may enroll in our optional Autoship program, depending on market availability, so that Members can automatically receive Isagenix products on a recurring schedule approximately every 30 days without the need for physically placing an order. Please refer to the Customer Membership Account Application and Agreement for additional details. We may encourage Associates to participate in the Autoship program to receive best pricing, but Associates are not required to join the Autoship program in order to participate in the Compensation Plan or business promotions. 4.5 Resale of Products. You must be an Associate to purchase Isagenix products for resale. However, no Associate (or Customer) may sell, offer, or otherwise provide Isagenix products to third parties for the purpose of resale through the Internet or other electronic commerce channels. Nor may any Associate sell or offer to a third party any quantity of Isagenix products greater than that generally purchased by an individual for personal use or for the use of the person’s Immediate Household without prior express written consent of Isagenix Field Relations Board. 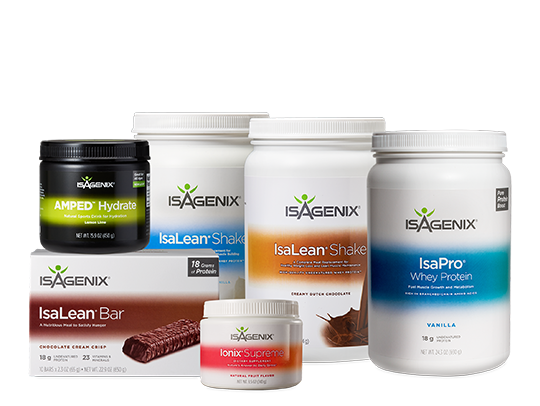 Associates may not (directly or indirectly through any intermediary or instrumentality) offer, display or sell, or facilitate the offering, displaying or selling of Isagenix’s products on a retail basis in any manner (including online auctions websites, such as eBay or Amazon, e-commerce websites, retail websites, social media sites or apps, infomercials, and television), except as follows: (1) through an Isagenix-provided Associate website; (2) in service-related and by-appointment businesses, where the primary source of income is from such services and not from product sales (for example, in salons, spas, offices, health clubs, and weight loss clinics); and (3) through any special program initiated and expressly approved by Isagenix. When marketing Isagenix products, you may use only Isagenix-produced or Isagenix-approved literature, banners, and signs. Isagenix also strictly prohibits the sale of Isagenix products in any jurisdiction where sales are not permitted or where Isagenix is not officially open for business. These obligations and prohibitions continue even after any termination or cancellation of your relationship with Isagenix. If you sell any Isagenix products through auction sales, on online auction sites, or through any other unauthorized website or channel, in addition to any other remedies hereunder or available by law, you agree to pay Isagenix five hundred United States dollars ($500.00) for each unit of Isagenix product in each instance of a prohibited, unauthorized, and/or noncompliant sale. You acknowledge and agree that a breach of such obligations will cause irreparable harm and damage to Isagenix and expressly waive any defense to Isagenix’s claim to such liquidated damages on the basis that actual damages are unascertainable or that such liquidated damages do not represent a reasonable determination of damages or penalties. 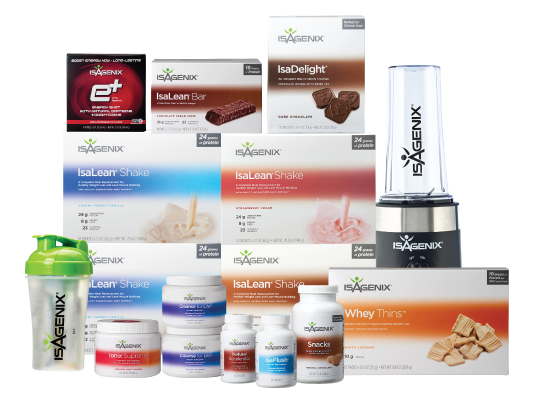 If you know, or reasonably should have known, that products were sold to a third party for the purposes of resale through unauthorized channels, in addition to any other remedies hereunder or available by law, you agree to pay Isagenix five hundred United States dollars ($500.00) for each unit of Isagenix product in each instance of a prohibited, unauthorized, and/or noncompliant sale. You acknowledge and agree that a breach of such obligations will cause irreparable harm and damage to Isagenix and expressly waive any defense to Isagenix’s claim to such liquidated damages on the basis that actual damages are unascertainable or that such liquidated damages do not represent a reasonable determination of damages or penalties. 4.6 Sales Tax. Collection of sales taxes may be required on product sales. Isagenix has voluntarily registered in many states to collect state sales taxes on behalf of Associates and, thus, reduce Associates’ compliance requirements. Accordingly, we will collect and remit sales taxes on the behalf of Associates, according to applicable tax rates in the jurisdiction where a product will be shipped. The tax collected is typically calculated as follows: (a) Associate and Customer orders for personal use will be taxed on the Wholesale Price; (b) Associate orders for resale will be taxed on the suggested retail price; (c) Retail Customer orders will be taxed on the actual sales price; and (d) for all orders, the price subject to sales tax will include the shipping charge if the jurisdiction where the products are shipped requires sales tax be charged on this cost. As an independent contractor, you are responsible for declaring and paying all applicable taxes. If an Associate has submitted, and Isagenix has accepted, a current Sales Tax Exemption Certificate and Sales Tax Registration License, sales taxes will not be added to the invoice and the responsibility of collecting and remitting sales taxes to the appropriate authorities shall be on the Associate. Exemption from the payment of sales tax is applicable only to orders which are shipped to a jurisdiction for which the proper tax exemption papers have been filed and accepted. Applicable sales taxes will be charged on orders that are drop-shipped to another state. Any sales tax exemption accepted by Isagenix is not retroactive. You agree to indemnify Isagenix and hold Isagenix harmless for any liability that it may incur as a result of your failure to properly declare whether certain product sales are for personal or retail use, or any failure on your part to properly declare or pay applicable taxes. 4.7 Product Satisfaction Guarantee. 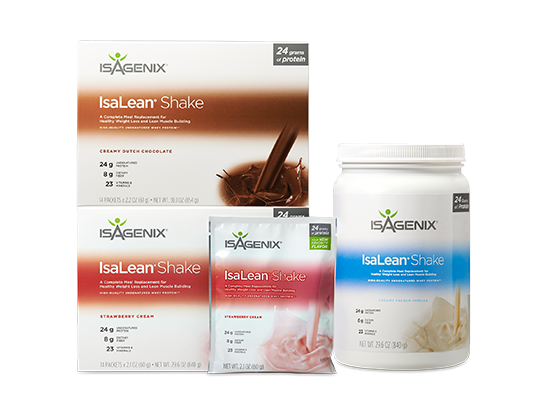 Isagenix offers a limited 30-day product satisfaction guarantee as set forth in the Isagenix Return and Refund Policy. Please note that when you, as an Independent Associate, sell, deliver or transfer products in person, you are responsible for your customer’s satisfaction. If these personal customers are dissatisfied with a product, they must go through you for a replacement product or refund. 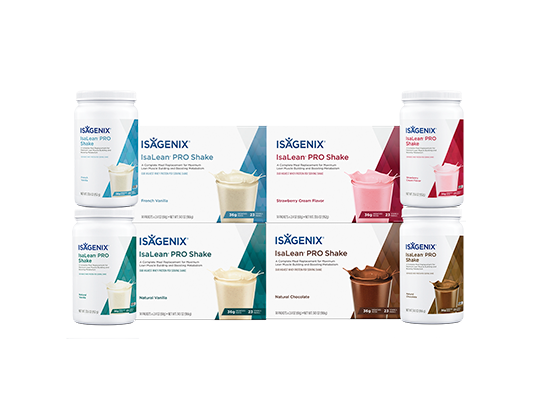 Once you make the product exchange or refund in accordance with policy, you may obtain a replacement product from Isagenix for the returned product. Terms and conditions apply. Please refer to the Isagenix Return and Refund Policy (which may be found at Isagenix.com), which is incorporated herein by reference, for details and instructions. You may contact Customer Care at (877) 877-8111 during normal business hours with any questions. When product is returned to Isagenix, commissions and bonuses paid to Associates from the sale of that product will be charged back and deducted from future payments to those Associates who originally received the commissions and bonuses. 4.8 Buy-Back (repurchase) Policy. To protect Associates who have accumulated more Isagenix products than they can sell or use within a reasonable time, Isagenix will buy back, on reasonably commercial terms currently marketable inventory purchased from Isagenix, subject to the terms and conditions of the Isagenix Inventory Buy-Back Policy. 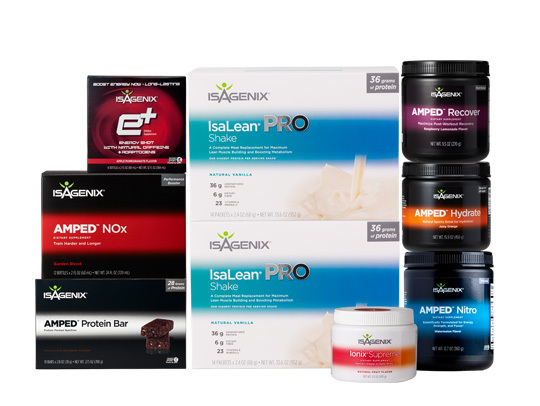 All products or materials must be returned to Isagenix with shipping prepaid by the Associate. Additional limitations and conditions apply. Please refer to the Isagenix Buy Back Policy for details. 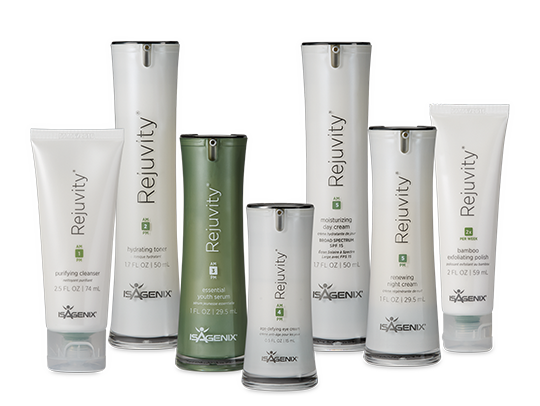 Product returns must be accompanied by the Isagenix International Inventory Buy-Back Request Form. Contact Isagenix via email at Returns@IsagenixCorp.com or by telephone at (877) 877-8111 to request the Form (or ask questions). BV, PV, commissions and bonuses credited or paid to Associates from the sale of returned product may be charged back and deducted from future payments to those Associates who originally received the commissions and bonuses. 5.1 Out-of-Market Sales. Isagenix offers an International Sponsorship program in which you may benefit from sales of Isagenix products outside of your Home Region. However, you may not sell Isagenix products or promote the Isagenix opportunity in countries or territories that have not been officially opened by Isagenix. You also may not sell or promote Isagenix products or literature designed for one jurisdiction, country, or territory in a different jurisdiction, country, or territory. Any violation of this provision could seriously jeopardize or compromise the ability of Isagenix to obtain governmental approval to conduct business in countries where approval is pending or planned. Accordingly, if you violate this or any other applicable policy or the laws of any country, territory, or jurisdiction, whether such violation is direct or indirect, intentional or unintentional, you are subject to corrective action, including without limitation, fines, prohibitions of conducting business in such jurisdictions, and/or the termination of your Position, as deemed appropriate by Isagenix at its sole discretion. 5.2 Confidential Information. To assist you in building an Isagenix business, and in reliance on your agreement to the terms of this Section, Isagenix may supply you with, or grant you access to, certain reports and other confidential and/or proprietary information that belongs to Isagenix. This information includes, but is not limited to, marketing plans and strategies, products, purchases, pricing, relationships with vendors and suppliers, and the identities of and contact information for Isagenix Associates and Customers provided to you in any document or report, and the identities of and contact information for Associates and Customers with whom you first became acquainted as a result of your relationship with Isagenix, whether or not they are in your Marketing Organization (collectively, "Confidential Information"). 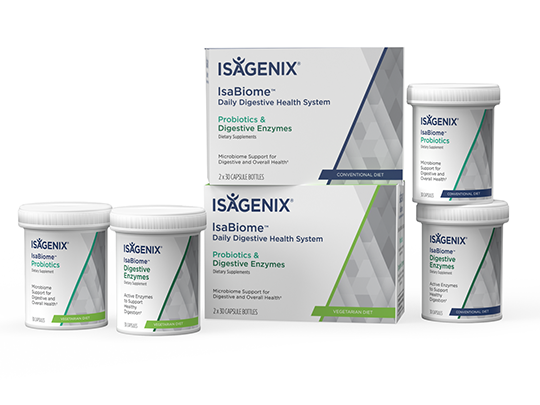 To protect your business and the businesses of all Associates, you acknowledge and agree that the Confidential Information belongs to Isagenix and must be kept completely confidential for as long as such information is deemed by Isagenix to be confidential. You agree that you will not, directly or indirectly through a third party, use or disclose any Confidential Information for any purpose unrelated to your Isagenix business, whether during the term of your association with Isagenix or thereafter. You acknowledge that the Confidential Information is of such character as to render it unique and that disclosure or use thereof in breach of this policy will result in irreparable damage to Isagenix and its Associates. You recognize and agree that misuse of the Confidential Information cannot be fully compensated through monetary damages. Accordingly, you acknowledge and agree that Isagenix and its Associates will be entitled to injunctive relief to prevent breach of this Section. If any action is taken to enforce this provision or to obtain injunctive relief or recover damages, the prevailing party shall be awarded its costs and expenses, including reasonable attorneys' fees. You understand and agree that in addition to Isagenix, other Associates may be entitled to seek and obtain injunctive relief and other damages if you violate this provision. You understand and agree that the confidentiality obligations and related remedies will survive the termination or cancellation of your relationship with Isagenix. 5.3 Non-Solicitation. 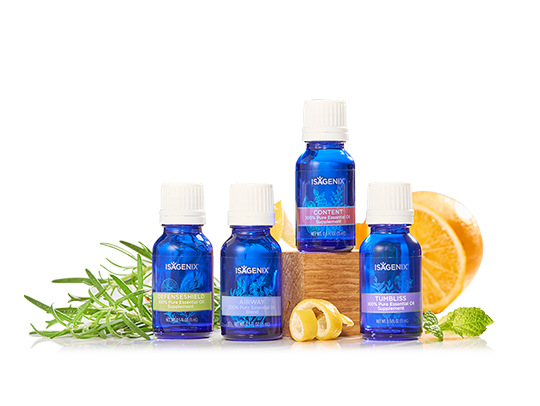 As an Associate, you are an independent contractor and therefore are not prohibited from participating in other business ventures, even when those business ventures compete directly with Isagenix. However, to protect the integrity of the Isagenix business and to support and protect your business interests and those of other Associates, during the term of your relationship with Isagenix and for one year thereafter (collectively, the "Non-Solicitation Period"), you agree that you will not solicit or encourage, directly or indirectly, any Associate or Customer to join or work with another network marketing, multi-level marketing, or direct selling company. You further agree that, except as otherwise authorized by Isagenix, during the Non-Solicitation Period, you will not introduce, promote, or sell other business ventures, goods, or services to any Associate or Customer. If you violate this Non-Solicitation provision, the Non-Solicitation Period will be extended by one year from the date of your last solicitation of any Associate or Customer. A solicitation includes any direct or indirect attempt to entice or encourage an Associate or Customer to consider joining or working with or for another network marketing, multi-level marketing, or direct selling company. A solicitation may include communicating information (including through online and social media postings) about another business venture to any Associate or Customer, to the extent a reasonable person would interpret your communication as an attempt to solicit his or her interest in that business venture. For additional information, please consult the applicable Guidance Documents which can be obtained in your ABO or contact Isagenix Compliance at Compliance@IsagenixCorp.com. Violation of this provision is grounds for termination of your Position and may also give rise to other claims for unauthorized use of Confidential Information. You acknowledge that a breach of this policy will result in irreparable damage to Isagenix and its Associates. You recognize and agree that violations of this policy cannot be fully compensated through monetary damages. Accordingly, you acknowledge and agree that Isagenix and its Associates will be entitled to injunctive relief to prevent breach of this policy. If any action is taken to enforce this policy or to obtain injunctive relief or recover damages, the prevailing party shall be awarded of its costs and expenses, including reasonable attorneys' fees. You understand and agree that in addition to Isagenix, other Associates may be entitled to seek and obtain injunctive relief and other damages if you violate this provision. You understand and agree that the non-solicitation obligations and related remedies will survive the termination or cancellation of your relationship with Isagenix. 5.4 Changing Marketing Organizations. To protect the integrity of the Compensation Plan, and to protect the business interests of each Marketing Organization in Isagenix, no Associate or Customer, whether current or former, may move to a different Marketing Organization or change his or her Enrolling Sponsor, except as expressly provided otherwise by these Policies. Specifically, if you wish to resign and later reenroll with a different Enrolling Sponsor or be placed in a different Marketing Organization, you may apply to reenroll after the appropriate waiting period has passed, as set forth in Section 3.5. Isagenix may deny reenrollment at its sole discretion. Any attempt to circumvent this policy, including any attempt to conceal an improper reenrollment (for example, by enrolling under someone else's name or a business entity, submitting false information to Isagenix, or working a business for someone else), is grounds for corrective action against all who had knowledge of or involvement in the improper activity, up to and including monetary fines and termination of their Position(s). It is also a violation of your Associate Contract to solicit or encourage any Associate or Customer to change Marketing Organizations. There are various ways this can happen such as direct solicitation or discrediting another Associate in order to encourage someone to resign and reenroll with another Marketing Organization. Soliciting or encouraging another Associate or Customer to change Marketing Organizations may be deemed a violation of this Section even if such Associate or Customer waits out the appropriate amount of time under Section 3.5. Fictitious enrollments, including enrollments using false or incomplete contact information or identification, or information that cannot be verified using reasonable efforts. To obtain credit for an enrollment, the Enrolling Sponsor must ensure that his or her enrollee provides genuine and accurate information to Isagenix. Gratuitous enrollments, including enrollments of individuals who have little or no interest in Isagenix, other than enrolling as a favor to someone, such as a friend or family member, or in exchange for some other benefit, such as free products or some other form of compensation. Uninformed enrollments, including enrollments of individuals who were not aware of their enrollment, who claim to be involved with Isagenix but who have little or no knowledge about what is going on in their business (indicating that their business is actually being managed by someone else), or individuals who wished to be Customers only and were enrolled as Associates. Stacking of enrollments, indicating a coordinated effort where one person or a small group of people strategically place enrollments in a way that benefits, or is intended to benefit, one person or a few people at the expense or to the detriment of others, including the manipulation of IAAA’s for the purpose of increasing commissions or bonus payouts or qualifying for Rank Advancements under the Compensation Plan. Multiple Associates or Customers using the same method of payment, the same shipping address, the same email address, the same phone number, and other activities that may indicate manipulation or attempted manipulation. The Compensation Plan is designed to offer an income opportunity and other benefits to those who, among other things, devote the requisite time and effort in pursuing this opportunity. The Policies are designed to help protect those efforts and we encourage you to report any suspected manipulative activities to the Compliance Department at Compliance@IsagenixCorp.com. 5.6 Income Claims. You understand and agree that you will not misrepresent the actual or potential income that may be earned under the Compensation Plan. Any representation about earnings must be based on documented facts, placed in the appropriate context, and accompanied by the appropriate disclosures, including the Income Disclaimers and the Isagenix Earnings Disclosure Statement, both of which can be obtained in your ABO (Associate Back Office) or at IsagenixEarnings.com or IsagenixCompliance.com. It is your responsibility to include all relevant information to ensure that any representation you make is truthful and not misleading. 5.7 Product and Weight Loss Claims. When describing Isagenix products and personal experiences with Isagenix, including the use of testimonials (by you or other Members), you understand and agree that you will only describe Isagenix products and product experiences in a manner that is consistent with the product and weight loss claims contained in official Isagenix marketing materials or as otherwise approved in advance in writing by Isagenix. When making any product claim or weight loss claim, you agree to accompany the claim with any appropriate disclaimers, copies of which can be obtained in your ABO or at IsagenixCompliance.com. It is your responsibility to disclose all relevant information to ensure that any representation you make is truthful and not misleading. You understand and agree that you will not represent that any Isagenix product is intended to diagnose, treat, cure or prevent any diseases or health conditions, unless otherwise approved in Official Isagenix Marketing Materials. 5.8 Military Base Restrictions. Associates in the military must comply with military regulations in establishing and operating their Isagenix business. We recommend that military personnel request and obtain permission from their base commander before starting an Isagenix business. Associates may be required to satisfy the base commander that (a) sales of products won’t compete with or materially affect sales by the Post Exchange, and (b) enrollment activities would not violate regulations against engaging in commercial solicitation with military personnel of junior rank. If an Associate is transferred to a military base in a foreign country, the same considerations apply to the operation of his or her business there, provided that business activities are confined to the base itself. 5.9 Media Interviews and Inquiries. To protect the Isagenix brand and to ensure a consistent and compliant message, Isagenix has determined it is in the best interest of all Associates and Customers to have designated company spokespersons handle all communications with the media. Accordingly, Isagenix Independent Associates and Customers are not permitted to contact, solicit, respond to, interview with, or otherwise communicate with the media about Isagenix, its products, compensation plan, their Isagenix experience, or anything else relating to Isagenix, even if they do not mention Isagenix by name, unless they receive prior written consent from Isagenix. It is a violation of this policy to provide any information to the media without prior written approval from Isagenix, regardless of whether the information is positive or negative, accurate or inaccurate. In addition, if a media interview is approved by Isagenix, proper media training may be provided to ensure accurate and successful representation of the company. “Media” is defined broadly to include all traditional news outlets, television and radio shows, and print media, as well as all Internet-based journalistic communications, which may include blogs, forums, and bulletin boards relating to journalistic news or similar outlets. All inquiries from the media must be referred to Isagenix at 1-877-877-8111 or media@isagenixcorp.com. 5.10 Non-Solicitation of Isagenix Employees. To protect against conflicts of interest, to help ensure a level playing field for all Associates, and to protect the Company’s investment in developing highly skilled and marketable employees to support all Associates, Isagenix employees are prohibited from becoming Isagenix Associates and from working for Isagenix Associates in any capacity to assist with Isagenix related activities, while employed by Isagenix and for a period of one-year following termination of their employment with Isagenix, unless they receive prior written consent from Isagenix. Accordingly, as part of this Non-Solicitation Provision, you agree that you will not solicit or encourage, directly or indirectly, any Isagenix employee to leave his or her employment with Isagenix and you agree not to solicit, enroll, hire or otherwise work with any Isagenix employee during the term of his or her employment with Isagenix and for one-year thereafter, without the prior written consent of Isagenix. 6.1 Isagenix Trademarks, Copyrighted Materials, and other Intellectual Property. 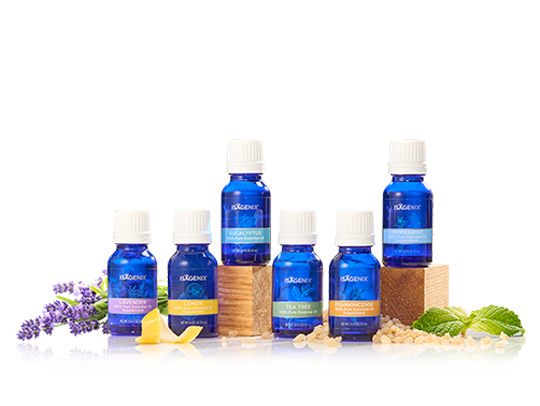 Isagenix trademarks include the name Isagenix and all variations thereof, as well as the names of all Isagenix products and services and other marks as typically indicated by the use of the "'TM" or “®” symbols. 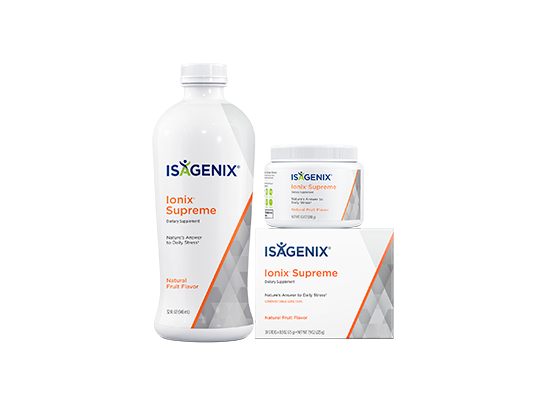 Isagenix trademarks also may include various word combinations relating to Isagenix using the prefix "ISA" or the suffix "GENIX". All Isagenix marketing and sales materials, including audios, videos, websites, posts, print and digital presentations, handouts or books, or other tangible and intangible works of authorship are the copyrighted work of Isagenix. An Associate may use Isagenix’s trademarks, copyrighted material, and other intellectual property only with Isagenix’s prior written permission, which may be expressed through general publication (to all Associates) or through a specific writing to one or more Associates. Without limitation, Isagenix may require conformity with specifications, may require that materials that use Isagenix’s trademarks and/or copyrighted materials be sourced from Isagenix or an Isagenix-approved supplier, and may otherwise condition use of its trademarks and copyrighted works. Any permission granted by Isagenix shall constitute a limited, non-exclusive, nontransferable and revocable license to use such trademarks and copyrighted works solely in connection with the Isagenix business. You agree to immediately transfer to Isagenix, upon Isagenix’s request, any Internet domain name or other registration or application containing an Isagenix trademark, including any word combinations using the prefix “ISA” or the suffix “GENIX”. This provision shall survive the termination of your relationship with Isagenix. 6.2 Advertising. 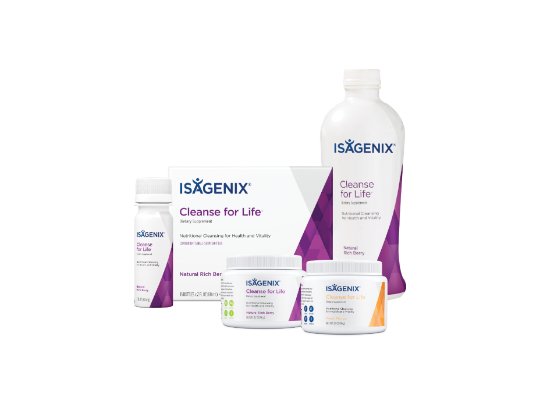 Isagenix provides sales tools and other materials that you can use to promote Isagenix products and the income opportunity. Creation of your own materials is discouraged; however, you may use certain other materials, including self-created materials, if and only if you first submit the materials to Isagenix corporate offices for review and the materials have been properly approved. The materials shall not be used prior to receiving written approval from Isagenix corporate. Isagenix may refuse to approve any materials at its sole discretion. All materials you create must be truthful, accurate and not misleading. Any and all statements about the benefits of Isagenix products or about the Isagenix income opportunity must comply with all Policies and the laws and regulations in the jurisdiction where the materials are used. 6.3 Internet Usage and Social Media. 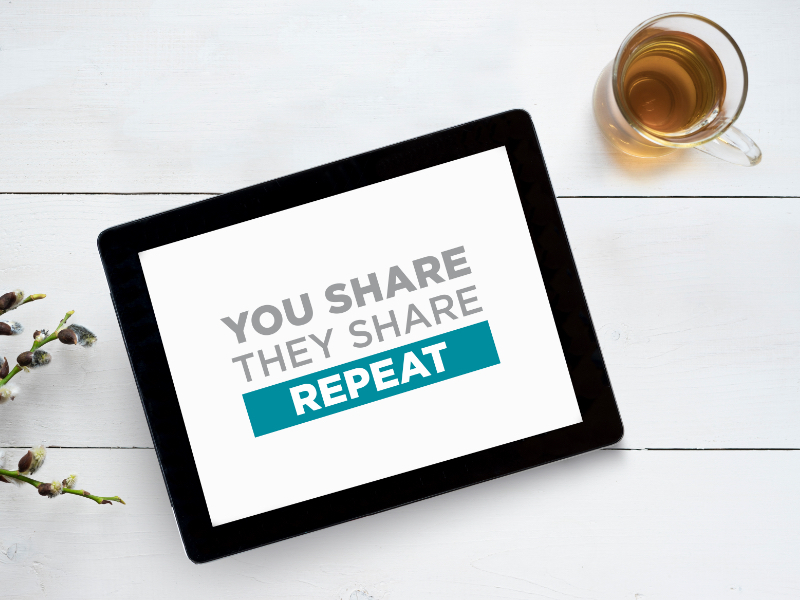 You may use the Internet, including social media, to promote Isagenix products and your business provided you do so in a responsible manner. Isagenix provides useful tools and training materials to help you understand how to use the Internet to promote Isagenix in an effective and socially acceptable manner. You understand and agree that you will abide by all Policies and Guidance Documents relating to Internet usage, as may be amended by Isagenix from time to time, and you will not make any inaccurate, exaggerated, or misleading statements about Isagenix or its products or income opportunity in any media, including through the use of videos, pictures, or other means. Note: Please refer to the Supplement to the Policies and Procedures on Internet Advertising and Social Media found on IsagenixCompliance.com for further guidance. 6.4 Repackaging and Relabeling Prohibited. 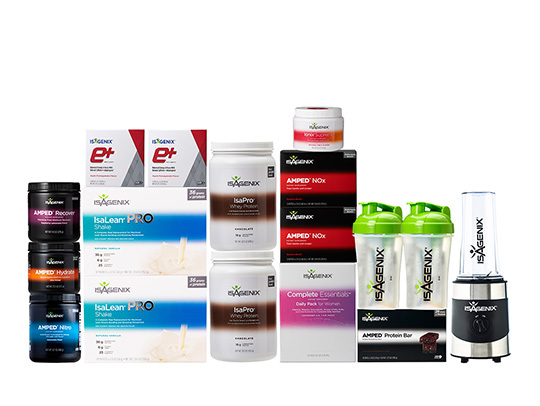 Associates may not delete, add, modify, tamper with, repackage, relabel, refill, or alter the labels on any Isagenix products or literature in any way. Nor may Associates break out products from product bundles (such as a Value Pak, sample pak, or other product pak) and sell such products individually. Isagenix products may only be sold in their original containers and packaging. Relabeling or repackaging violates your agreements with Isagenix and could violate laws that generally require persons, including Associates, to implement and adhere to specified quality controls and procedures relating to the repackaging or relabeling of Isagenix products. Violations of such laws could result in severe criminal penalties. Associates should also be aware that personal civil liability may arise when, as a consequence of the repackaging or relabeling of products, the person(s) using the product(s) suffers any type of injury or damage. Associates are also responsible for learning and adhering to the proper storing and handling instructions for Isagenix products. take any other action or corrective measures that Isagenix deems appropriate under the circumstances. You understand and agree that Isagenix has the right to withhold payment of all commissions and bonuses during the period that Isagenix is investigating any alleged misconduct. If your Position is terminated due to a breach that occurred prior to the investigation, you will not be entitled to any commissions or bonuses withheld during the investigation period, unless otherwise required by law. 7.2 Field Relations Board. The Field Relations Board reviews disputes, decisions, and disciplinary actions relating to Associates and their Isagenix businesses. Review requests must be timely submitted to the Compliance Department at Compliance@IsagenixCorp.com. The review request must include all information and documents the Associate believes supports his/her case and that the Associate would like to have considered in the review. All decisions of the Field Relations Board are final. Upon proper notification, Isagenix may, at its sole discretion, amend the IAAA Terms and Conditions, the Policies, the Compensation Plan, the Guidance Documents, and any other materials pertaining to your Isagenix business, including any other agreements entered into between you and Isagenix. You understand and agree that you will be bound by the most current versions of the IAAA Terms and Conditions, the Policies, the Compensation Plan, and the Guidance Documents, including any updates or revisions since the date of your enrollment, upon any of the following occurrences: (a) completing the enrollment process to become an Associate or Customer; (b) renewing your annual Membership; (c) each time you personally enroll a new Associate or Customer; and (d) each time you accept commissions or other payments under the Compensation Plan. You will be bound by any amendments upon notification of the amendments through any Isagenix official channels of communication effective three days after the posting of such notice (except where a longer notice period is required by law, in which case such notice period applies). Those channels of communication include, but are not limited to, posting of information to the Isagenix website or Associate Back Office (“ABO”), e-mail to your IsaMail account or email address on file, announcements in any official Isagenix newsletter or other publication, or mailed to you at the address on file. 9.1 Scope, Applicability and Interpretation. These Policies govern the relationship between Isagenix International, LLC and/or any of its affiliates ("Isagenix") with any Associate or entity that holds an Isagenix Position. These Policies are incorporated by reference into, and form part of, the IAAA. You understand and agree that Isagenix’s interpretations of the Policies are final and binding. Whenever used in the Associate Contract, including the Policies, the term “including” means “including without limitation”, unless expressly stated otherwise. 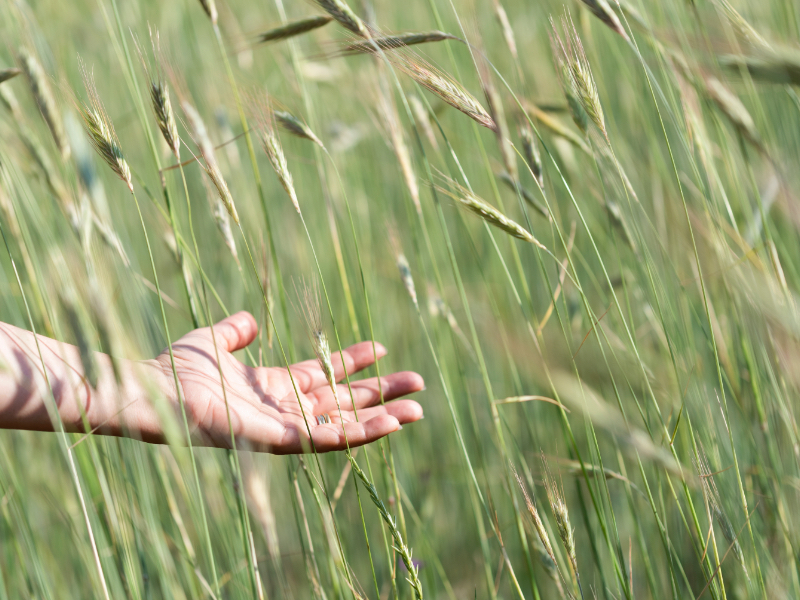 9.2 Compensation Plan and Guidance Documents Incorporated By Reference. The Compensation Plan and Guidance Documents, as may be amended from time to time, are incorporated by reference into these Policies and you agree to be bound by the Compensation Plan and the Guidance Documents, as the same may be amended by Isagenix from time to time. 9.4 Reporting and Resolving Errors. If you have any questions or believe there has been an error regarding commissions, bonuses, reports, orders, or charges, you must notify Isagenix in writing within 30 days of the date of the purported error in question. Isagenix will not be responsible for errors, omissions or problems not so reported. 9.5 Waiver. Isagenix never waives its right to insist on compliance (a) with the Policies, the IAAA, the Guidance Documents, the Compensation Plan and other agreements between Associates and Isagenix and (b) with the applicable laws governing the conduct of a business and network marketing. This is true in all cases, both specifically expressed and implied, unless an officer of Isagenix who has actual and specific authority to bind Isagenix to such waivers explicitly states in writing that Isagenix waives any of these provisions. 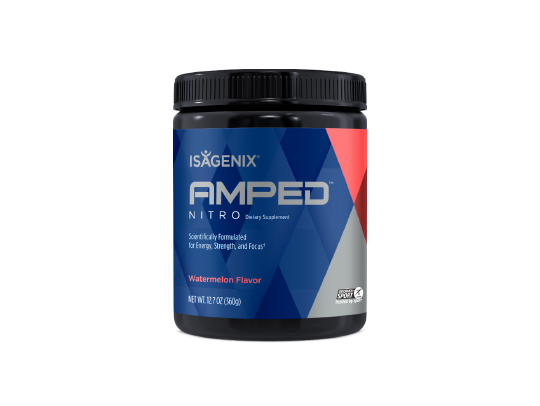 In addition, any time Isagenix approves a waiver of any provision, that approval is specific to the single occurrence, unless otherwise stated, and does not extend to any other violation, whether past, present, or future. 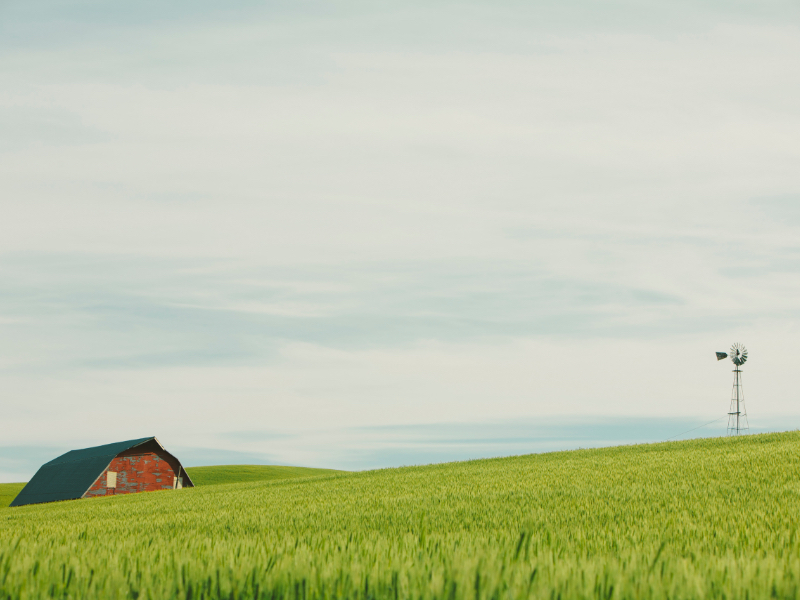 This provision deals with the concept of "waiver", and the parties agree that Isagenix does not waive any of its rights under any circumstances short of the written confirmation alluded to above. 9.6 Indemnification. You agree to indemnify and hold harmless Isagenix, its officers, managers, directors, employees, beneficial owners, and agents (collectively “Isagenix Indemnitees”) against and from any claim, damage, loss, or liability, including judgments, civil penalties, refunds, attorneys’ fees, court or arbitration costs, or lost business Isagenix Indemnitees incur, arising from any of your actions or inactions that violate your Associate Contract, including without limitation, the IAAA Terms and Conditions, these Policies, the Compensation Plan and the Guidance Documents, each as may be amended. You understand and agree that you are responsible for any verbal or written representations you make regarding Isagenix’s products and business opportunity, including the Compensation Plan, and you agree you will not make any unauthorized or unlawful representations, express or implied, verbal or non­verbal. You agree to indemnify and hold harmless Isagenix Indemnitees against and from any and all liability including judgments, civil penalties, refunds, attorneys' fees, court, or arbitration costs or lost business we incur as a result of any unauthorized or unlawful representations that you make. 9.7 Exclusion of Damages. In no event shall any Isagenix officer, director, employee, affiliate, successor, or assignee be liable for any special, punitive, indirect, or consequential damages, for any claims or actions resulting from or arising out of these Policies or any other agreement you have entered into with Isagenix, the functionality or operation of any website, or any acts or omissions of any Isagenix party, whether based on contract, tort (including negligence), strict liability, or any other cause of action. 9.8 Severability and Judicial Modification. If any portion of these Policies, or any other agreement you have entered into with Isagenix, is deemed by any arbitrator or court of competent jurisdiction to be invalid or unenforceable, it is your and Isagenix’s mutual intent that the arbitrator or court shall strike or modify the applicable provision only to the extent necessary to make such provision enforceable, and enforce the provision as modified. In any event, the remainder of these Policies and all other agreements shall remain in full force and effect. 9.9 Survival of Terms. You understand and agree that each of the provisions of these Policies relating to confidentiality, non-solicitation, resale of products, including prohibitions of online sales, arbitration, and other provisions as expressly stated herein will survive the termination of your relationship with Isagenix. 9.10 Arbitration and Governing Law. ANY CONTROVERSY OR CLAIM ARISING OUT OF, OR RELATING TO, THESE POLICIES AND PROCEDURES, THE COMPENSATION PLAN, OR THE GUIDANCE DOCUMENTS, OR THE BREACH THEREOF, SHALL BE SETTLED BY CONFIDENTIAL ARBITRATION ADMINISTERED BY THE AMERICAN ARBITRATION ASSOCIATION UNDER ITS COMMERCIAL ARBITRATION RULES, AND JUDGMENT ON THE AWARD RENDERED BY THE ARBITRATOR MAY BE ENTERED IN ANY COURT HAVING JURISDICTION THEREOF. IF YOU FILE A CLAIM OR COUNTERCLAIM AGAINST ISAGENIX OR ITS OWNERS, DIRECTORS, OFFICERS OR EMPLOYEES, YOU MAY ONLY DO SO ON AN INDIVIDUAL BASIS AND NOT WITH ANY OTHER INDIVIDUAL OR AS PART OF A CLASS ACTION. YOU WAIVE ALL RIGHTS TO TRIAL BY JURY OR TO ANY COURT. All arbitration proceedings shall be held in Maricopa County, State of Arizona, unless the laws of the jurisdiction where you reside expressly require the application of its laws, in which case the arbitration shall be held in the capital of that jurisdiction. At least one arbitrator shall be an attorney at law experienced in business law transactions and network marketing. Neither the parties nor the arbitrator(s) may disclose the existence, content, or results of any arbitration without the prior written consent of both parties. Judgment on any award rendered by the arbitrator(s) may be entered in any court having jurisdiction. Each party to the arbitration shall be responsible for its own costs and expenses, including legal and filing fees; provided, however, that the arbitrator will have discretion to award legal fees and other costs to the prevailing party. The decision of the arbitrator shall be final and binding on the parties. This agreement to arbitrate shall survive any termination or expiration of your relationship with Isagenix. Nothing in the arbitration provision prohibits either party from obtaining a temporary injunction, preliminary injunction, permanent injunction or other equitable relief available to safeguard and protect the party’s interests prior to, during or following the filing of any arbitration or other proceeding, or pending the rendition of a decision or award in connection with an arbitration or other proceeding. The arbitrator(s) will have the authority to continue injunctive relief and to enter a permanent order granting such relief. In addition, nothing in the arbitration provision shall prevent Isagenix from filing a lawsuit to identify unknown persons, including, but not limited to, unidentified Customers or Associates, who may be selling Isagenix products on the Internet, cybersquatting, registering or attempting to register, or using Isagenix trademarks or confusingly similar domain names, or producing, modifying or repackaging Isagenix merchandise without authorization. Once a person is determined to be a Customer or Associate, Isagenix may take further action against such persons. The filing of a lawsuit and taking any action in that lawsuit to identify unknown persons shall not be a waiver of any right or obligation set forth in the arbitration provision. In the event that a dispute or claim arising out of, or relating to this Agreement, is not subject to arbitration as set forth above, the laws of the state of Arizona shall govern, and the parties agree that proper jurisdiction and venue shall be in the state and federal courts of Arizona. In the event of a dispute for jurisdictional purposes, persons residing in Louisiana shall be entitled to file an adjudicatory claim or lawsuit in the jurisdiction of Louisiana and the governing law shall be Louisiana law. If the laws of your place of residence impose any requirement that is different from or in addition to those set forth in these Policies, then these Policies shall be deemed amended in conformance with those laws as to that jurisdiction only. Achieved Rank –the highest Rank in which an Associate has qualified within the Compensation Plan. Associate – an independent contractor who has met and continues to meet the eligibility requirements set forth in the Associate Contract. 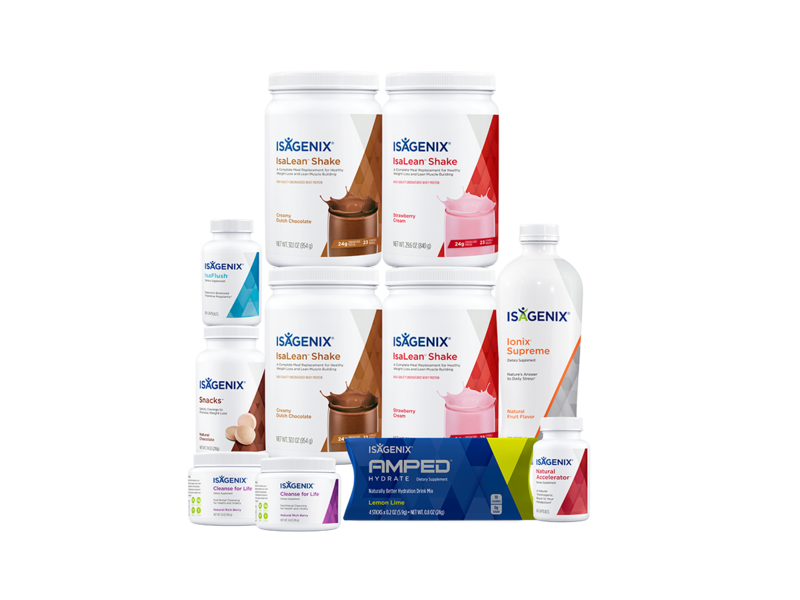 Associates may purchase and resell Isagenix products, subject to applicable laws, policies and agreements, and are generally eligible to earn compensation under the Compensation Plan. Associate Back Office (ABO) – is the online portal through which Associates have access to information and tools helpful to operate their Isagenix businesses. Associate Support System – the online support system available to each Isagenix Associate at enrollment. It includes an Isagenix Associate Website where an Associate’s Retail Direct Customers may purchase Isagenix products at the retail price and where an Associate may enroll new Customers and Associates. It also includes access to the Associate Back Office and training materials. Autoship – an optional program of convenience permitting pre­selected, pre-authorized orders to be automatically shipped on a selected date each month. The Autoship program provides additional savings and convenience to Members who elect to participate. Associates are not required to participate in the Autoship program in order to participate in the Compensation Plan. Business Building Activity – enrolling a new Customer or Associate, receiving a Compensation payment, advancing in Rank, or participating or completing other business related activities as may be specified by Isagenix. Business Center – the term “Business Center” is given the meaning set forth in the Compensation Plan. Compensation – the commissions, bonuses and other consideration received by an Associate under the Compensation Plan or through other incentives or promotions implemented by Isagenix for the sale of its products. Compensation Plan – the Isagenix Team Compensation Plan, as may be amended from time to time. Customer Type – the type or level of membership selected by a Customer as indicated by the Customer’s election at the time of enrollment or by the Membership Fee paid by the Customer. Customers – End Consumers who have created a Membership Account to purchase Isagenix products at discount prices for their own personal use or the personal use of their Immediate Household only. In addition to persons who have created a Membership Account, other persons may purchase Isagenix products as “Retail Customers,” “Retail Direct Customers,” or other type of customers as may be designated from time to time by Isagenix, all of whom also may be considered End Consumers. Customers, Retail Customers and Retail Direct Customers may not participate in the Compensation Plan or resell products. The term “Customer” by itself refers only to persons who have created a Customer Membership Account and does not refer to Retail Customers or Retail Direct Customers. End Consumers – persons who acquire Isagenix products for the purpose of consuming them rather than for the purpose of reselling to someone else. Enrolling Sponsor – the person who is credited for personally enrolling a Customer or an Associate. Field Relations Board (FRB) – the Board responsible for reviewing certain matters relating to compliance with the Associate Contract, including decisions made by the Compliance Department. Guidance Documents – the guidelines, FAQs, supplements, training materials, and other tools and documents published or presented by Isagenix that interpret, clarify, and provide additional detail with respect to these Policies. The Guidance Documents, as updated from time to time, are considered part of these Policies (unless otherwise stated in the specific Guidance Document) and can be found on official Isagenix publications, including in the Associate Back Office. 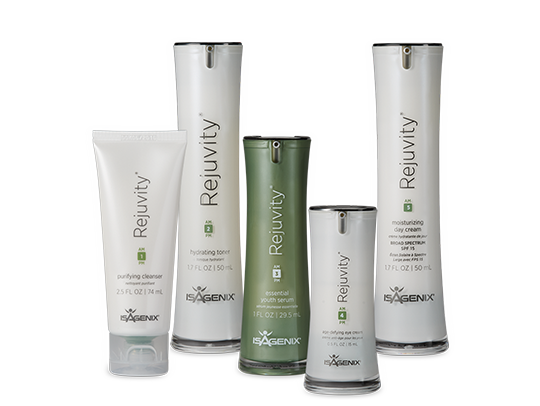 Home Region – the Isagenix Region that includes the country or territory where the Associate resides at the time of enrollment. An Associate may benefit from the sales activity of new Members in the Associate’s Home Region without applying for and receiving approval as an International Sponsor. Immediate Household – the head(s) of a household and dependent family members residing in the same household. Independent Associate Application and Agreement (IAAA) – the application and agreement which a person who desires to be an Isagenix Independent Associate must properly complete, execute, and submit to Isagenix as one of the prerequisites to becoming an Associate. International Sponsor – an Associate who has been approved to enroll Associates and Customers in Regions other than the enrolling Associate’s Home Region and may qualify to earn Compensation for product sales in such other Region(s). International Sponsorship Application and Agreement – the application and agreement that an Associate must properly complete, execute, and submit to Isagenix as one of the prerequisites to becoming an International Sponsor. Line of Sponsorship – the line of Associates above a given Position in a Team Placement Tree. Marketing Organization – all Customers and Associates who are situated below a given Associate in the Associate’s Team Placement Tree and from whose product purchases the Associate’s Compensation is derived. Member – a Customer or an Associate or both, depending on the context. Membership Fee – the fee that a Member may elect to pay in order to receive product pricing discounts that are not available to non-Members and other membership benefits that Isagenix may provide from time to time. Non-Solicitation Period – the period during which Associates agree not to solicit other Isagenix Associates or Customers to join another business venture. The Non-Solicitation Period begins upon enrollment as an Associate and does not end until one year after the relationship with Isagenix ends, unless otherwise extended pursuant to Section 5.3. Placement Sponsor – the Associate under whom an enrolling Associate or Customer is placed in the Compensation Plan. The Placement Sponsor and the Enrolling Sponsor may be the same person. Policies and Procedures – rules and regulations governing the conduct of Associates with respect to their independent Isagenix businesses, including this document and the Guidance Documents, as may be amended by Isagenix from time to time. Position – (1) the Business Center held by an Associate or (2) the placement location of a Member in the Enrolling Sponsor’s Team Placement Tree for purposes of measuring and tracking product sales and allocating commission payments to Associates based on product sales. Preferred Customer – a Customer who has established a Customer Membership Account, elected to pay the applicable Membership Fee, and has agreed to certain terms and conditions. A Preferred Customer may elect to participate in the Isagenix Autoship program. Rank – the title or status that an Associate has achieved pursuant to the Compensation Plan. The five Ranks are: Associate, Consultant, Manager, Director, and Executive. 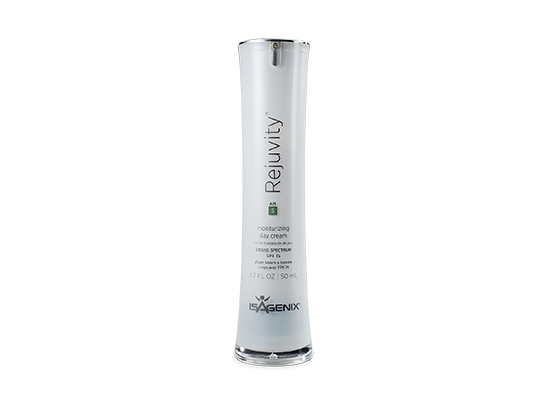 Region – a country or a group of countries designated by Isagenix for purposes of distinguishing an area of the world where an Associate may sponsor new Associates and Customers. Retail Customer – a person who purchases Isagenix products directly from an Associate in person. Retail Direct Customer – a person who purchases Isagenix products from Isagenix at the suggested retail price by going through an individual Associate’s website. 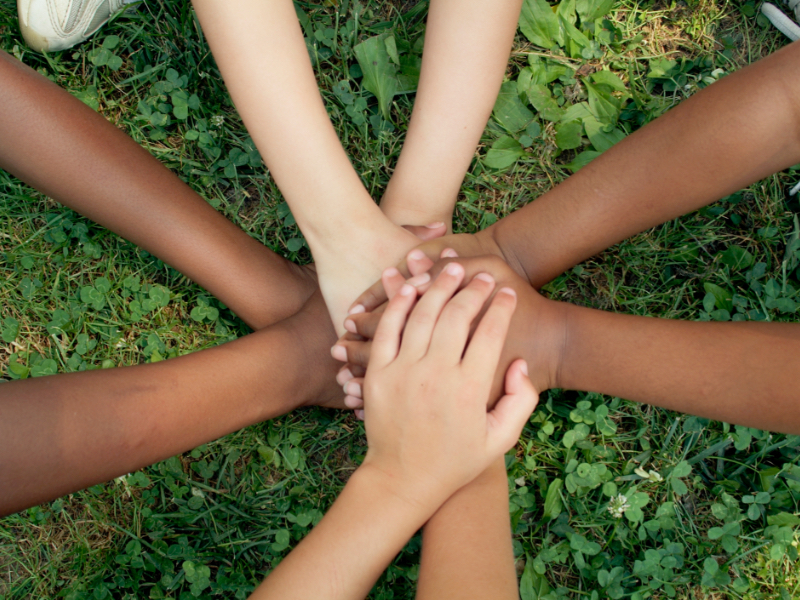 Support Team – the Line of Sponsorship above your Position in the Team Placement Tree (including your Enrolling Sponsor and Placement Sponsor) who are in a direct line to your Position through your Enrolling Sponsor. Team Placement Tree – an Associate’s Marketing Organization (Right and Left Teams) in which newly enrolled Customers and Associates are placed. See Compensation Plan for additional information. 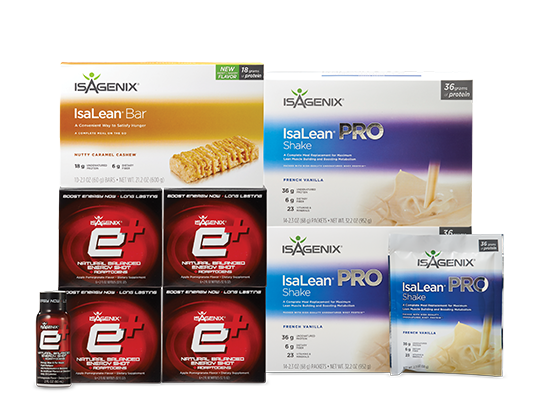 Wholesale or Wholesale Price/Pricing – prices established by Isagenix that are less than a product’s suggested retail price.